How cute is this drawing of me by Lottie?! I discovered her Instagram a few weeks ago and requested a drawing or an image from the Chiara Fashion Shoot (post here). Then sure enough this popped up on my feed! How fab is that?! If you fancy an illustration of yourself you can find Lottie's Instagram page here. 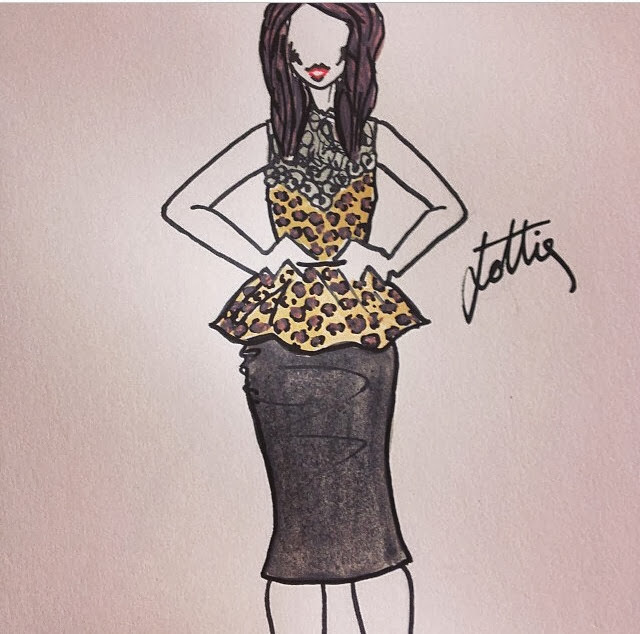 Aww that is such a cute illustration, love the leopard print!